Top Rated Algebra Tutors in New York City! Welcome to New York’s top-rated private algebra in-home tutoring service! All of the following New York algebra tutors are certified by Varsity Tutors, the leading tutoring agency in the country! 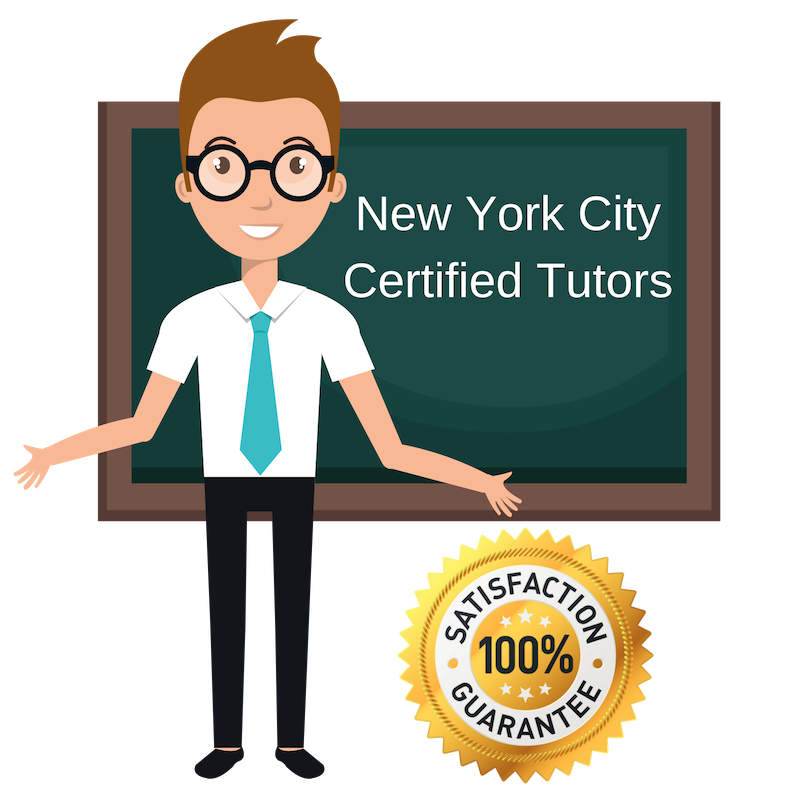 All New York algebra tutors have been background checked, been interviewed, had mock algebra tutoring sessions, and been trained by professionals. We guarantee you will love your local New York algebra tutor or your money back! Get information regarding a top-rated algebra tutor today! I am an experienced personal tutor specializing in algebra and other mathematics. While I am currently in New York City, NY, I previously studied at the University of Pennsylvania for my undergraduate studies in English and attended the London School of Economics for my Master’s Degree in Media and Communications. I have experience tutoring elementary to high-school grade students in math, writing, reading, and even AP courses, and also like to work on general study skills to improve the students’ overall performance. I enjoy these subjects because of the way students often connect to stories and concepts on a personal level. I have additional volunteering experience in tutoring and public education, and have been involved in ACBS courses, Big Brothers Big Sisters, and efforts to review funding for school programs with the City of Philadelphia’s Department of Human Services. When I am not working, I can be found at dance class, running through the city for exercise, or browsing for new travel plans. I enjoy teaching but also think it is important to be involved in educational policy and child advocacy. I worked hard to get to know my students in terms of both their personalities and their study habits, and aim for my students to feel at ease and respected at all times. I believe any students are capable of achieving their goals with appropriate direction, adequate interest, and sufficient confidence. Above all, it is important for the student and tutor to work together in the manner most comfortable for the student. Throughout this process, kindness is key and patience is of vital importance. I am graduate of both physics and theater with a passion for helping others learn and the unique experience of studying seemingly opposite topics simultaneously. I have acquired patience, consideration, and strong interpersonal skills from my work as a lifeguard and my personal activities in theater, such as improvisation, but also have concrete experience in mathematics and physics. I recently completed a contracting job at Google X’s Warmo, a self-driving car company, where I exercised this skillset further. I look forward to helping others develop their skills as well as a tutor for algebra and more in New York City, NY! Though I am out of college, I still find that learning and discovering are forces that both fascinate and drive the direction of my life. As a researcher for documentary film, I have made learning about new things the center of my professional life. I am attracted to tutoring for many of the same reasons; I love witnessing the magic of the “click” of understanding that washes over a student who had previously struggled with a difficult concept and find it deeply fulfilling. Having graduated from Bowdoin College with a doctorate and degrees in both math and English, I have years of study experience to offer as your private tutor. In addition to tutoring in my own areas of study, I have experience assisting with writing and standardized tests, particularly the GRE. My tutoring experience stretches between graduate populations and elementary-age students, and I very much enjoy working with all backgrounds. While I am tutoring algebra and other mathematics in New York City, NY presently, I have worked at a number of institutions including Bowdoin and abroad in Kathmandu, Nepal. As a private tutor, I can offer study assistance and instruction which stems from years of experience in a variety of subjects and environments throughout New York City, NY and beyond. In addition to algebra, I am comfortable tutoring in the arts, verbal and reading skills, writing, and standardized testing. My experience includes school tutoring in NYC high schools, volunteer teaching abroad in Ecuador, and online tutoring with EssayEdge, where I help students with papers on subjects ranging from science to history. Interpersonally, I have a lot of experience working with students one-on-one to improve not only there understanding of foundational concepts, but also with organization of ideas, brainstorming, and thinking about problems from different points of view.